An intentional morning routine can be transformational to one’s health AND happiness. My Achilles heal to always nailing an intentional morning routine is my love for sleep. I’m a master at battling the snooze button. When I do this, I consequently jump out of bed only to immediately dive into answering emails. As you can imagine, this sets me up for an unfocused, reactive day. So in the past year or so, I’ve focused a lot of energy on waking up earlier and establishing a routine. When I successfully get out of bed before 6:30 am, I’ve experienced the pure magic of early mornings. The stillness of the morning is invigoratingly creative and peaceful. I try to start my day with an hour of device-free journalling, reading, and coffee drinking before diving into the busyness of work. When I simply redirect this hour towards quiet reflection, I feel unstoppable the entire day. This 1 hour boosts my happiness, clarity, and productivity significantly. Since Week 3 of our Simplified Life Challenge is all about refreshing your morning routine, I decided to get specific on it. 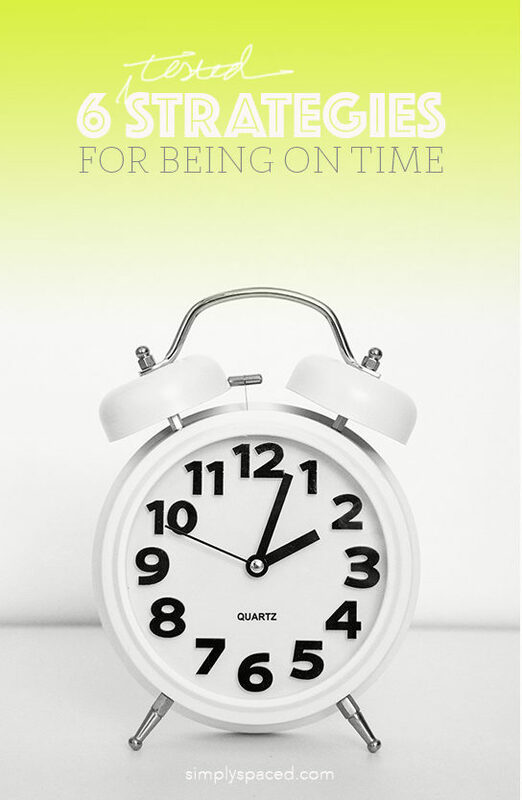 If you’re a mom and just barely getting the kids out the door in one piece (and thinking, yeah right, 1 hour for myself! ), fear not! Most of these “Healthy Habits” take less than 15 minutes! Choose just one option, and make sure to read Morning Routines of 6 Productive Parents & Professional Organizers for some extra inspiration. Here are 10 simple and quick activities that I’ve tested in my morning routine. Although I don’t have the time to do them all in the morning, I’ve found that all of them are great for boosting health, happiness, and clarity of mind first thing in the morning. I hope you’ll add one or two of these in your morning routine, and will report back on your experience! Rehydrating in the morning is key. I don’t know about you, but I feel like a baked lizard first thing in the morning. I fill up a tall glass of water as my coffee brews and chug it. By hydrating first thing in the morning, I feel more awake and energized throughout the day. Plus, I knock out one of my obligatory 8 oz. glasses. If you want to keep track of how much water you’re drinking daily without a thought, check out this ‘Smart’ Water Bottle that measures your daily intake automatically! Creating a mile long to do list often times creates overwhelm, unproductive busyness, and ultimately discouragement. Instead of writing down a mega list, I prefer to write down my top three priority items. The idea here is to assess the 3 things that will make everything else easier or unnecessary once they’re complete. I snagged this brilliant idea from the Book, The One Thing by Gary Keller & Jay Papasan, and it’s created amazing results in my clarity of mind. I also make sure to tell myself that once these three things are complete, I will feel content with my day. Meditation is not only for monks. It’s for anyone that wants to reduce stress, create cognitive clarity, and feel more spiritually grounded. I keep it simple by setting a 10-minute timer and focusing on my breath. I acknowledge when thoughts pop up and then refocus back on my breath. If you’ve never tried meditation or have trouble staying consistent, I recommend HeadSpace. It’s an educational app that has engaging guided meditations. Getting into a negative mindset is easy. For me, one negative thought can create a domino effect of unproductive thinking. Rather than allowing my brain to wander and land on a critical or toxic thought, I try to focus my attention on uplifting, energizing topics. It’s not always easy, but I’ve found that by writing down three things that I’m grateful for in my The Five Minute Journal, my entire day is a bit brighter. Whether you’ve set out to write a book or you simply want to reflect on your life, writing in the morning is a great practice. After reading The Artist’s Way, I decided to give daily free-writing a try. This practice is said to unlock higher levels of creativity throughout the day. I use this practice to connect and regulate my emotions. It’s a win, win. I love reading physical books with my morning coffee, but honestly, I don’t always get to it. When I can’t take the time, I rely on audiobooks during my commute to consume more books in less time. I’ve found that reading an educational book first thing in the morning promotes more curious and inquisitive conversations throughout the day because I have interesting information to share with my friends and colleagues. I like a quick breakfast, so my version of ‘making’ breakfast is throwing some fruit and flaxseeds into yogurt. I find that prepping a small breakfast with a few healthy ingredients sets my day up for intentional, healthy meals. When I don’t have the time, I opt for a piece of fruit and nuts. Humans thrive off of connection and community. If your job or daily routine is one of isolated computer time, try working in a meaningful interaction with a loved one or friend first thing in the morning. I sometimes call a family member or friend from the car when I’m on my way to work. If you have small kids, this is a crowd favorite. While I may not do this every morning, I do grab this trick when I especially need a pick-me-up or a good laugh. It’s part humor and part exercise, and I love it. Music and dancing are the most joy-inducing activity I can think of (other than eating, of course), and I think that as a morning routine additive, it may be the most important activity on this list. There’s a popular study that suggests that working out in the morning releases cortisol in the body at the perfect time, leading to more restful, deep sleep the following night. For me, getting some exercise in the morning makes me feel more energized throughout the entire day. It also helps me stick to my fitness goals because I’m more likely to make excuses for “being too tired” for a workout after the work day. My challenge is having the time in the morning, so I sometimes do a quick 10-15 minutes of jumping jacks and stretches when I have to be to the office early.